A strong trough over W Europe moves north while another strong trough forms west of UK. Weak SFC frontal boundary moves into central Europe. 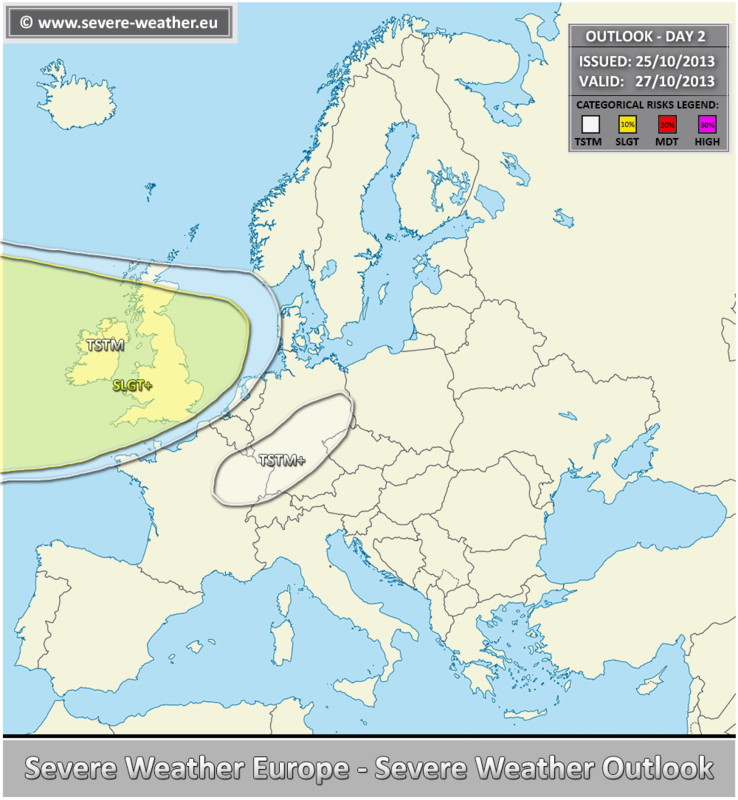 A SLGT+ risk has been issued for E Atlantic and UK with threat for severe winds, heavy rain and some tornado threat. A TSTM+ area over E France into central Germany is placed along the front where some threat for hail and strong winds seem possible. An upgrade to SLGT risk might be required on DAY 1 outlook when conditions become better defined on models.